Amazon billionaire Jeff Bezos’ space venture, Blue Origin, has signed a letter of intent to cooperate with Germany’s OHB Group and MT Aerospace on a future mission to the moon that’ll use Blue Origin’s Blue Moon lunar lander. 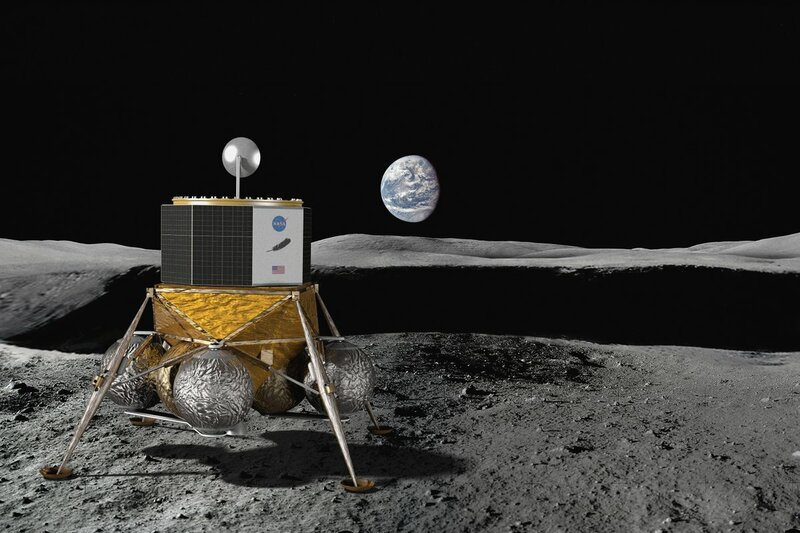 The arrangement could mesh with OHB’s participation in a project to build a European-built module for the international lunar orbital platform known as the Gateway, which is due to take shape in the mid-2020s. OHB Systems is a key development partner for the planned logistics module, which is known as the European System Providing Refueling, Infrastructure and Telecommunications or ESPRIT. MT Aerospace is a German supplier specializing in antennas, avionics and production systems for aerospace applications. Blue Origin CEO Bob Smith, MT Aerospace CEO Hans Steininger and OHB executives Lutz Bertling and Kurt Melching signed the cooperative agreement on Tuesday during the International Astronautical Congress in Bremen, Germany, OHB said in a news release. This entry was posted in GeekWire and tagged Blue Origin, Moon, MT Aerospace, OHB, Space. Bookmark the permalink.